Harold L. Gardner, 87, passed away Aug. 26, 2018, at his home, which was located on the family farm in Franklin Township, Lycoming County. Harold attended the Chestnut Grove one-room schoolhouse and graduated from Hughesville High School in 1948. He was a proud member of Hughesville’s first interscholastic wrestling team. He briefly attended Bloomsburg State College before partnering with his father, Brady Gardner. In 1951, he was recruited out of the farm field to become an insurance agent, representing Farm Bureau Insurance, which later became Nationwide Insurance. With a firm belief in the Protestant work ethic, a used desk, and set of insurance manuals, he set out to build a successful insurance agency for 41 years. His professional career was capped by a real estate deal that brought McDonald’s to Hughesville. Upon retirement, Harold enjoyed the fruits of his labors as the third generation to maintain the family farm. He enjoyed the company of immediate family and friends, old and new. He aged gracefully and approached his twilight with dignity. 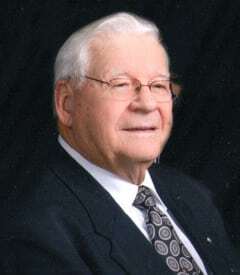 Harold was a 16 year board member of East Lycoming School District. He was a strong supporter of the Murray Farm purchase, which allowed for future expansion of educational facilities and athletic fields for the district. As a third generation member of Moreland Baptist Church, he served on various councils and committees, including the Board of Deacons and Trustees. He was a member of Muncy Masonic Lodge No. 299, Williamsport Consistory and Irem Temple Shrine. Harold was married to the former Frances Ann Lewis, with whom he celebrated 50 plus years of marriage, until her passing in 2007. He is survived by children, Cynthia (Tim Snyder), of Muncy and David Gardner, of Hughesville; grandchildren, Christianna and Patrick Hager, and Justin, Madison and Brenden Gardner; 4 great-grandchildren; sisters, Verna Hanscom, of Honey Brook, Pa. and Vivian Keller, of Florida. In addition to his wife, Harold was preceded in death by four brothers, Charlie, Irvin, Jesse and Ralph Gardner. Harold’s family is forever grateful for the companionship of Edna Harding, Millvile, who Harold reached out to after the loss of his beloved wife. Friends and family are invited to call from 2 to 4 p.m. Sunday, Sept. 16, 2018, at Moreland Baptist Church, 118 Moreland Baptist Road, Muncy, with a memorial service to follow at 4 p.m. In lieu of flowers, the family suggests contributions in Harold’s memory be made to Moreland Baptist Church, 118 Moreland Baptist Road, Muncy, PA 17756. Arrangements have been entrusted to Brooks Funeral Home and Cremation Svc PC, 207 Broadway St., Turbotville.